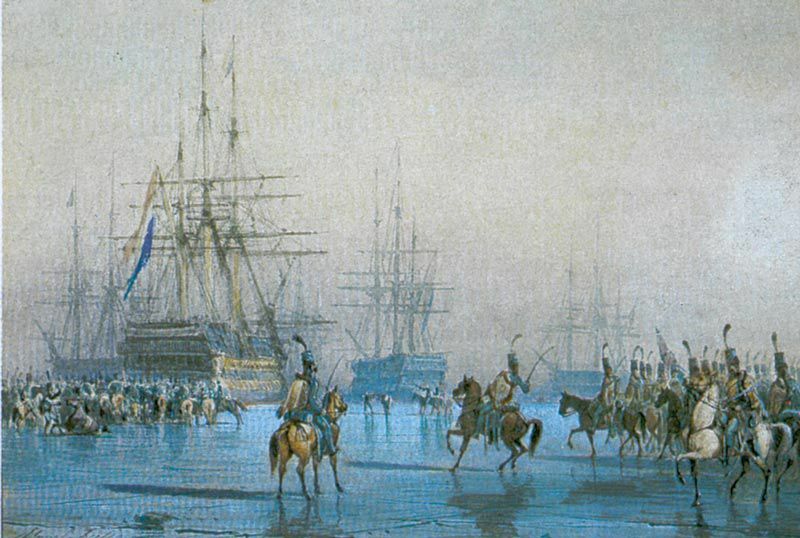 The Battle of Texel remains the only instance in history where a cavalry troop — horse-riding soldiers — captured a fleet of ships. It happened on this day in 1795, though it wasn’t exactly a battle. No shots were fired and everyone awaited orders. But it was a strange sight to say the least. The ships surrounded by men on horses.